> The Brewers once again handled the Cubs with ease tonight, winning 4-1. 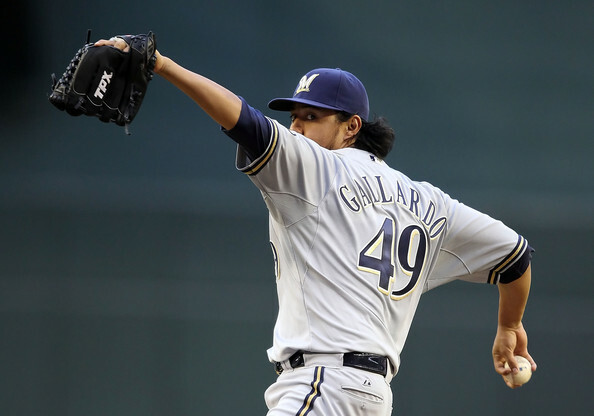 Yovani Gallardo had another stellar start, going seven innings while giving up a run on three hits. He walked three and struck out nine. 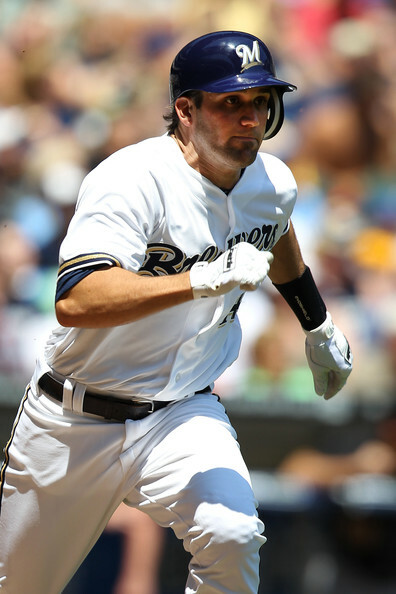 The Brewers jumped on Travis Wood early, as Jeff Bianchi hit his first career home run- a three-run blast- in the second inning. The only Cubs run came on a home run from Wood, the pitcher. Other than that, the Cubs’ offense was rather lifeless. The 2011 bullpen was successfully revisited tonight, as Francisco Rodriguez and John Axford got the hold and save, respectively. If only we could have had that a few months ago. > Recently I’ve been mulling over who I think should win the major baseball awards come the end of the season, and I’ve found there are a lot of interesting award races around the game. One I’m having a particularly tough time with is the National League MVP race. Our own Ryan Braun took it home last year after posting a career high in batting average and leading the Brewers to the playoffs. But, while Braun is nearly duplicating the numbers he put up last year- and on pace for a career high in home runs- I can’t see him taking it home this year. The Brewers aren’t remotely close to contention, which we all know always affects the MVP race. And his eventful offseason is certain to take more than a few votes away. Other than Braun, I see three candidates for the MVP (all on contending teams): Andrew McCutchen, Buster Posey, and Matt Holliday. Obviously there are other sleeper guys around the league, such as Adam LaRoche, Freddie Freeman, Carlos Beltran, and so on, but the three I listed prior seem to be the choices whom all the buzz is surrounding. Everyone was pretty much handing McCutchen the award in July, which is clearly too early. He was hitting around .370 at the time, but has fallen into the .340’s. That still isn’t bad, but, as McCutchen has fallen, so have the Pirates. If that continues, my vote would not go to Cutch. Posey and Holliday are my top two right now; both are valuable assets to their contending teams. 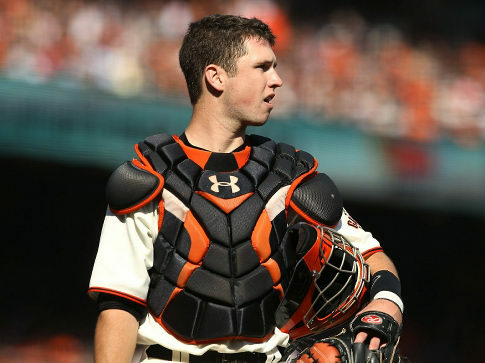 Assuming the Giants and Cardinals stay where they are in the standings into the playoffs, my vote would go to Posey. The Giants have an otherwise weak offense without him, while the Cardinals still have a lineup of perennial All-Stars without Holliday. That’s my opinion on the race right now. I would be thrilled if Braun somehow came out with the award again, but I have a feeling one of the guys I listed will to do Braun what Braun did to Matt Kemp last year. > Bianchi must have been listening when I called him Brooks Conrad 2.0 the other night, because he’s gone on a tear since I criticized him in Pittsburgh. After starting his career with an 0-for, Bianchi had five consecutive hits, ending with his first career homer in the second inning. Needless to say I’m liking the Jean Segura-Bianchi shortstop tandem than I did the Cody Ransom-Cesar Izturis tandem. > Shaun Marcum was placed on waivers today. I wouldn’t be at all surprised to see him get nabbed by a contender. > Randy Wolf didn’t go unemployed for very long, as it was reported that the Orioles signed him earlier today. They’ll likely use him as a relief since they’re primary lefty out of the ‘pen, Troy Patton, is taking a long time to recover from an injury. But Buck Showalter didn’t rule out using him as a spot starter in the ever-changing O’s rotation. UPDATE: The Athletics also had “serious interest” in Wolf before he signed with the Orioles. > Pitching coach Rick Kranitz said he doesn’t want Brewers pitchers trying too hard to get strikeouts in what could be a record-breaking season. The Brewers are on pace to break the team strikeout record set by the 2003 Cubs, who featured elite arms such as Kerry Wood and Mark Prior. > The Pirates released Erik Bedard. His final start with them was a loss at the hands of the Brewers just a few days ago, when he gave up seven earnies in 4 2/3 innings. > Gallardo made strides in quite a few stats tonight. He reached 14 wins for the third consecutive year. He won his sixth consecutive decision. He struck out nine for the third consecutive start. He threw his Major League-leading 22nd quality start. Yep, he’s the ace of the staff right now. > Brewers pitchers struck out 10 for the eighth straight game. > Holy crap, Justin Verlander gave up eight earned runs today. This entry was posted on Wednesday, August 29th, 2012 at 3:18 am and is filed under Uncategorized. You can follow any responses to this entry through the RSS 2.0 feed. You can leave a response, or trackback from your own site.